The key to Premier League success could be simpler than it sounds – get sponsored by a technology company and avoid English sponsors. New research by Free Super Tips shows that more than half of all top flight champions since the league’s inception in 1992-93 have been sponsored by a technology or communications provider; 14 of the 26 champions in all. The analysis reveals a noticeable shift in the sponsorship landscape over the past 26 seasons. In 1992-93, eight of the 22 Premier League teams were sponsored by technology and communications companies. 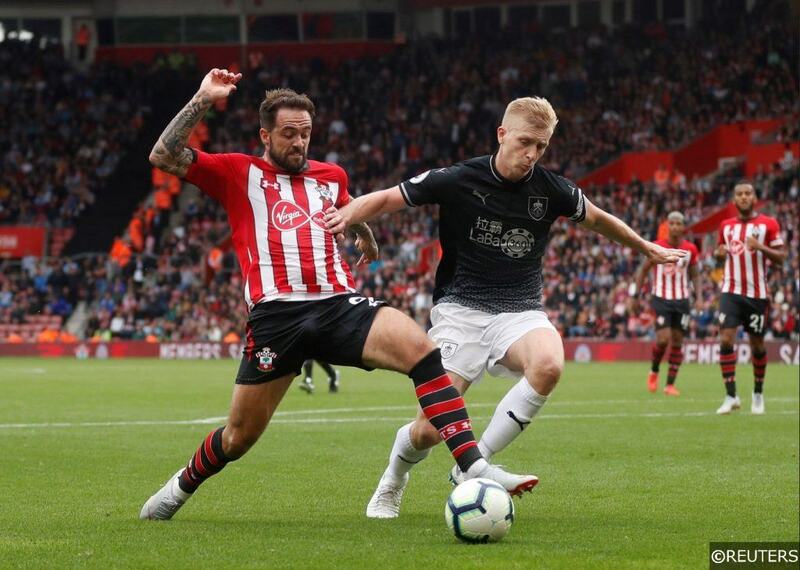 In 2018, that number has fallen to just one of the 20 teams – Southampton, who are sponsored by Virgin Media. In contrast, almost half of Premier League sides now have sponsors from the gaming and betting industry – nine of the 20 teams. In spite of this, a team sponsored by a gaming or betting company has never won the Premier League. In fact, only once in Premier League history has a team sponsored by a gaming brand finished in the Top 4 – in 2010, when Mansion-sponsored Spurs finished fourth. Over the past 26 years, technology and communications sponsorship has accounted for by far the largest proportion of the 104 teams finishing in the Top 4 of the Premier League – 40 teams in all. 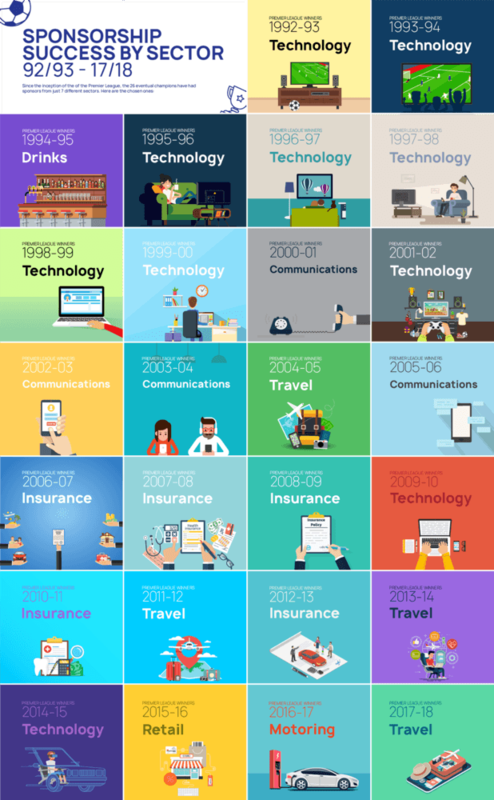 The next closest sectors are drinks (22 teams), travel and tourism (21), finance and insurance (14) and motoring (5). Retail (1) and gaming and betting (1) round out the list. 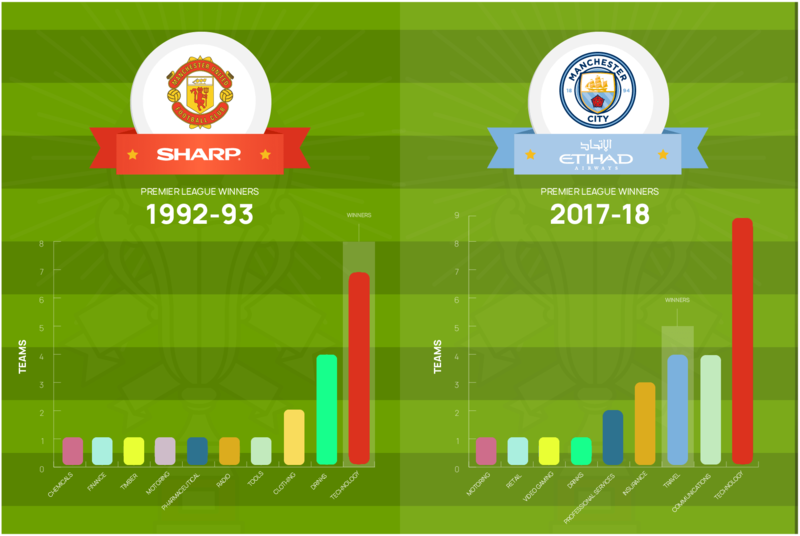 Somewhat surprisingly, the Premier League champions have only been sponsored by an English company on two occasions – when Vodafone-sponsored Manchester United won the league in 2000-01 and 2002-03. Of the 104 Top 4 finishers, just 15 have been sponsored by companies based in England, with United’s Vodafone deal alone accounting for 6 of these. Categories: Research. League: England Premier League. Sports: Football.